Posted by Meredith Scott on February 9, 2017. We recently celebrated the arrival of my niece – the only other child on my side of our family! This lucky baby girl has a fabulous library, given to her by friends of my brother and his wife, a group of writers, publishers, teachers, and book lovers. CLiF often sites research that proves that kids are 80% more likely to read a book of their choosing. When students are encouraged to choose books they want to read, reading motivation and comprehension improve, the likelihood of reading for pleasure increases, and students’ reading performance is enhanced (read more). This must apply to parents too! While we are obligated to read the perennial bed time favorites (ours were Time for Bed by Mem Fox and Goodnight Moon by Margaret Wise Brown), we can always try to steer our kids to books that are of interest to us. It certainly makes reading more fun and novel. Classics – The Babylit series has distilled the classics into board books with themes of counting, sounds, and colors. I’m interested to see Anna Karenina presented for babies! Classics from your childhood – Having attended many family events for CLiF, the popular choices are the classics from the parent’s childhood. CLiF keeps stocks of Mike Mulligan and his Steam Shovel, The Very Hungry Caterpillar, and Corduroy on our shelves. Diversity – While our kids might need to be shielded from the current politics around diversity, they do need to see themselves and different children reflected in stories. We Need Diverse Books offers book recommendations, program ideas, and other resources. CLiF presenter Elizabeth Bluemle has developed a diversity database for children’s and young adult books. 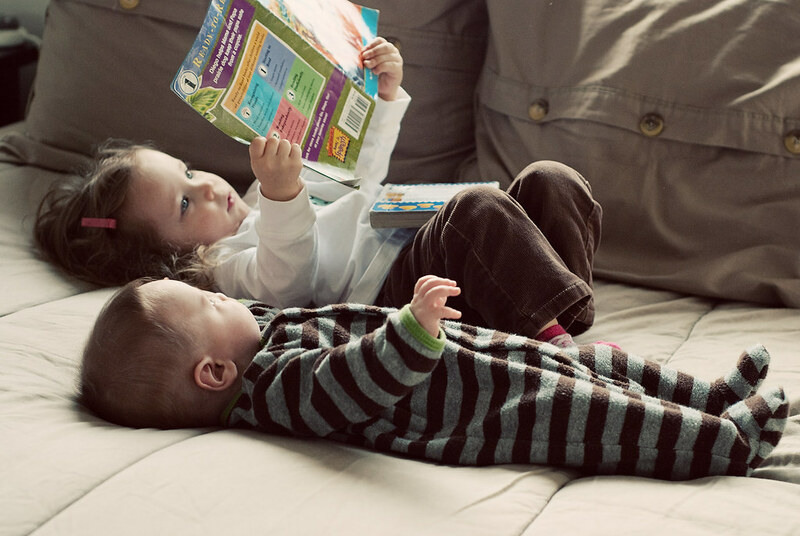 Research continues to show how crucial it is to read with infants and babies (and to shut off screens); it helps to close the achievement and word gaps and build important communication bridges between parents and children. CLiF is producing a training video for caregivers and child care providers with tips on reading with the zero-five year olds. CLiF is also proud to support Bennington, VT, with a CLiF Community Building grant to launch a 1000 Books Before Kindergarten program. I’m so lucky that my daughter still loves to read out loud with me, but I can’t wait to snuggle my niece and read What is Punk?. Tags: 1000 Books Before Kindergarten, Babylit, book choice, Community Building grants, Elizabeth Bluemle, Eric Morse, James Scott, Margaret Wise Brown, Mem Fox, Peter Lourie, Scientists in the Field series, Sy Montgomery, weneeddiversebooks, What is Punk?